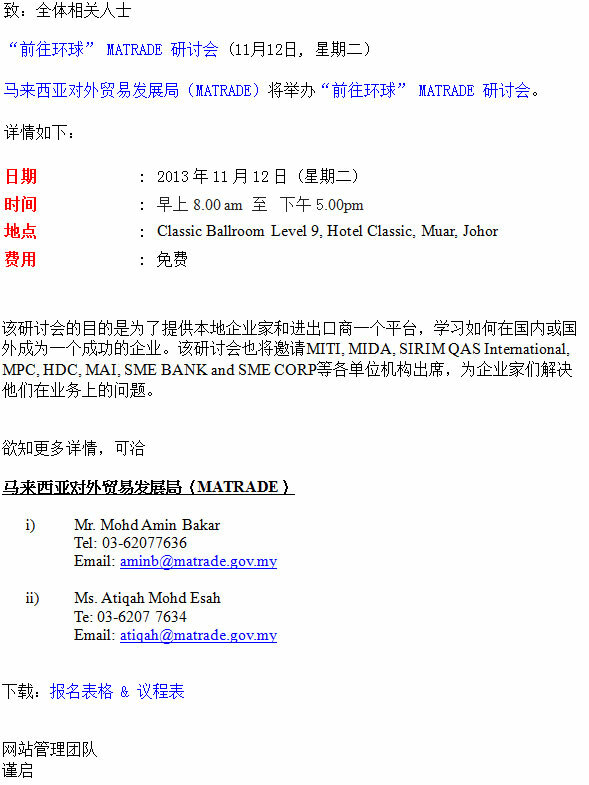 Please be informed that Malaysian External Trade Development Corporation (MATRADE) will be organizing Program “Go-Global” Matrade. This program was designed to help entrepreneurs and exporters become a successful entrepreneur, whether in or outside the country. The program will also be accompanied by several agencies such as MITI, MIDA, SIRIM QAS International, MPC, HDC, MAI, SME BANK and SME CORP. So that participants may interact with them. Counter information will be opened on the day so at 5.00pm.